Zlatan Ibrahimović just recently announced his decision to join Manchester United. The giant Swede is attempting to test his skills in the Barclays Premier League for the first time ever. The 34-year-old striker has a wealth of experience playing in Europe’s top leagues. Ibrahimovic has played in Spain, the Netherlands, France, Italy, and is now going to showcase his talents in England. If we were to judge players based on how fantastic the goals they scored, then Zlatan would be the greatest of all time. He also won the FIFA Puskás Award in 2013; he scored an overhead kick against England, from outside the box – one of the most stunning goals every witnessed in modern football. Apart from scoring great goals, Zlatan is also known for his sort of arrogant attitude. He speaks exactly what he thinks, and doesn’t shy away from controversy. But, unlike Mario Balotelli, Zlatan is self-composed, and has the footballing ability to back his words. During the 1999/2000 season, the young Swede caught the eye of Arsenal manager Arsene Wenger. The French manager was impressed with the young Zlatan; the Swede had just been promoted to the senior Malmo squad. This was in 2012, when Zlatan had just completed a mega-money move to Paris Saint-Germain. Zlatan had transferred away from A.C. Milan, in a deal that involved him and his team mate – Thiago Silva. The combined transfer fee was valued at €180 million, with the Swede said to be costing more than his defensive counterpart. During his last season at Paris Saint-Germain, the giant Swede showcased just how amazing he is. Zlatan scored 50 goals in the 51 matches that he featured in. He also won the top scorer award for the French Ligue 1. Zlatan played a crucial role in the 9-0 thrashing of Troyes – the 3 points earned from this match meant that Paris Saint-Germain had secured the French Ligue 1 title with eight games still remaining to be played. Later that day, when asked if he will be staying in Paris for the next season, Zlatan replied by saying that he would stay only if the club replaces the iconic Eiffel Tower with a statue of him. I believe that the Norwegian is completely wrong. Zlatan doesn’t have “pointless” tricks. He is one of the only players in the world that actually knows how to use skills to get past players and score goals, instead of just showing off. If Zlatan didn’t have his skills, then football would be a boring spectacle. With skills like Zlatan’s, we can all look forward to watching the beautiful game. Never mock Zlatan’s skills! 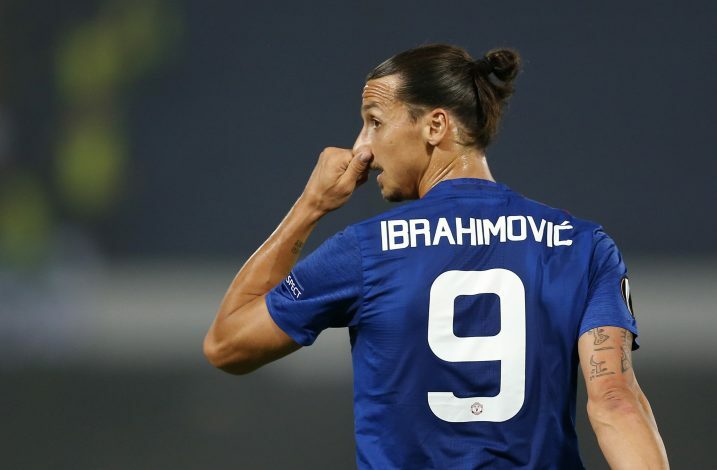 Ibrahimović transferred to Barcelona in a massive deal that involved them exchanging Cameron striker, Samuel Eto’o, and also playing a reported fee of around £60 million. During his one year spell at Barcelona, he played alongside the world’s greatest – Lionel Messi, Xavi, Iniesta, and the legendary manager Pep Guardiola. Zlatan even acknowledged the immense talents that he was playing alongside. He mentioned: “I was probably with the best team in history. Their football was beautiful. When I prepared for a game, I knew I had won even before we started. It seems that this was a match made in heaven – Zlatan playing alongside the best in the world, for the best manager available. But, it did not go as he intended. Zlatan was sidelined in favor of the fantastic Lionel Messi. Even when he was given a chance to play, he wasn’t deployed in his favorite position. Zlatan was usually given a role that involved him playing on the wings. His relationship with Pep Guardiola deteriorated to a point that he could no longer stay with the Catalans. He was eventually loaned to A.C. Milan after a single season in Spain. Remember, Jose Mourinho, since you are signing Zlatan, you must use him like Zlatan – not like Wayne Rooney!